References - Leaky Roof Dr.
We’re very happy. 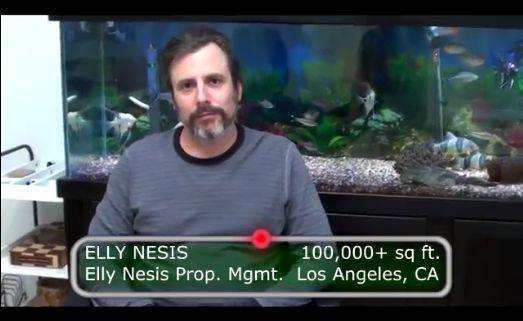 On a scale of 1-10, I’d probably give it a 9. 10 is perfect and it’s never perfect but this is as close as you can get. You guys were thorough, efficient, in and out, and we haven’t had a problem since, so I would certainly recommend you as a reliable source. 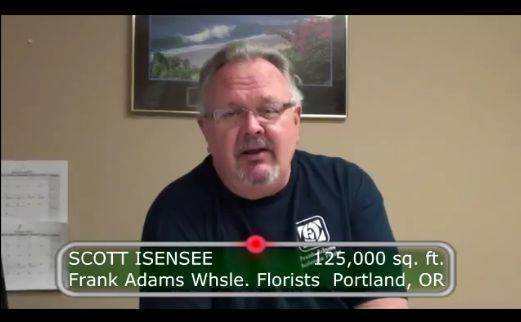 Scott Isensee – Frank Adams Wholesale Florists, 125,000 sq. ft. – Portland, OR. We hired Von, because we had a 100 year old building, needed a new roof. It was definetely leaking, and we wanted something that was going to make the building more comfortable, both in the winter, make it warmer and cooler in the summer. The leaks have stopped and it is definetely a lot cooler then when we first moved in to the space. Service is a 10, Von and his crew are always on it. 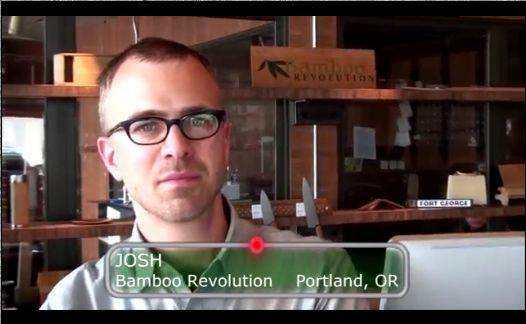 Josh – Bamboo Revolution – Portland OR. I was fixing my roof, had a leak in the corner and I was looking for a roof that I could maintain in the future. I had been researching what I had which was a roll on comp roof, and it was reaching its life, there was no maintaining it. There was no redressing it and I was very interested in a product that I could repaint like it was paint on my house. It has a longer lifespan, which saves you money and reroofing the next 20 years. As a bonus, its as strong as it because expansion and contraction, you have reduced the heat. I’m very satisfied, I like the idea that instead of re-roofing the roof I can just clean it and put another coat on. How good is that? Thats rocket science to me and my shop is 20 degrees cooler in the summer. Im very happy, its a 10 for me. 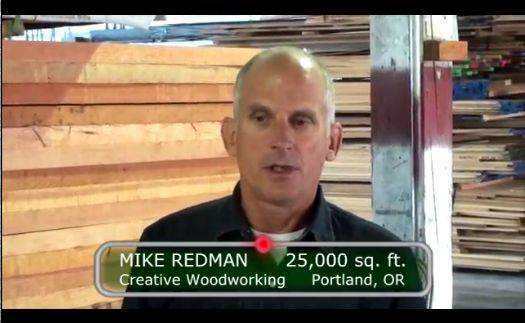 Mike Redman – Creative Woodworking – Portland OR. I used to lose sleep whenever it rained and now I sleep like a baby, I have no worries, my roofs don’t leak. He’s excellent at waterproofing, he goes above and beyond the roof, makes sure the drains are functioning properly and walls that could leak are sealed properly, and he insures that my buildings have no leaks. 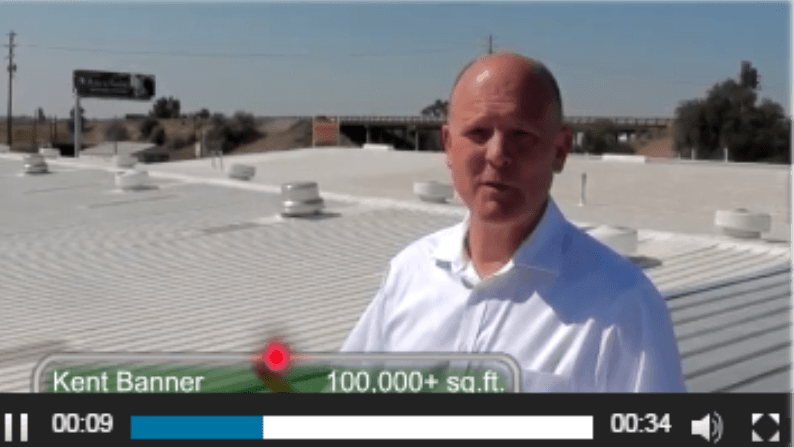 Our company owns a lot of commercial property across the United States.When we have a roof issues at any of our properties, we call Von Bodkin (The Roof Dr.) Because we get excellent results when we use his applications. 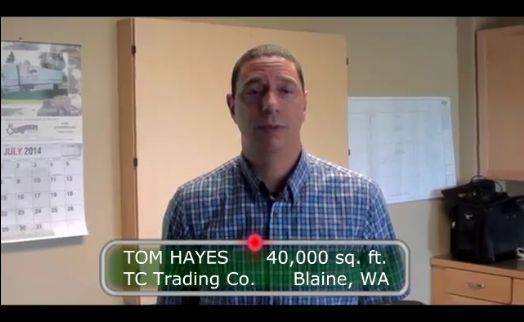 I was very pleased with the product.The way the product reacted from a standpoint of heat reduction, the ease of putting it on and the thoroughness and speed at which your team was able to do it. Its been excellent! 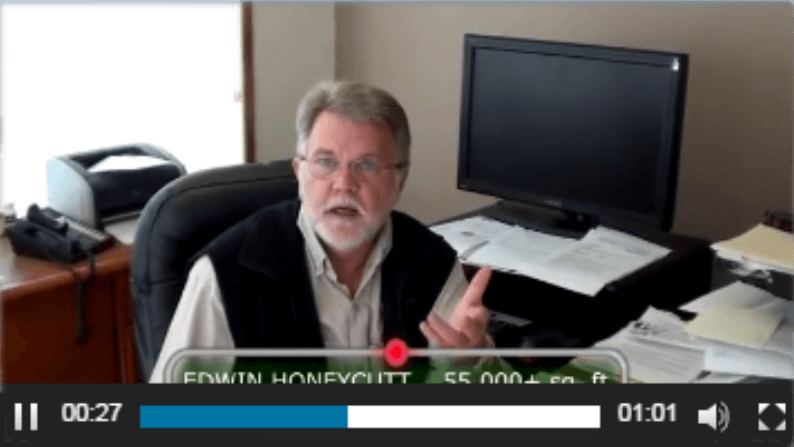 Ed Honeycutt – Mr. 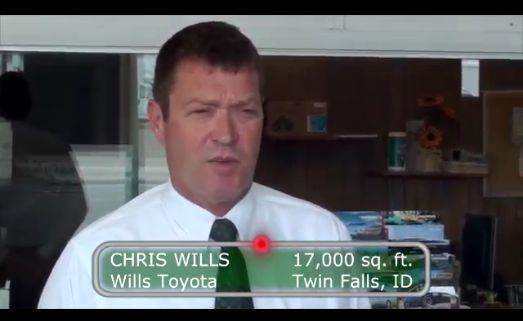 Formal, 55,000 sq. ft. – Portland, OR. I’d be glad to talk to anybody about this service and would put this service right at a ten. The reason for that, is that any problems we did have, you took care of not only helping us with our problems but also standing behind your product! The knowledge that Von came with and educated me on how roofs work was incredible. 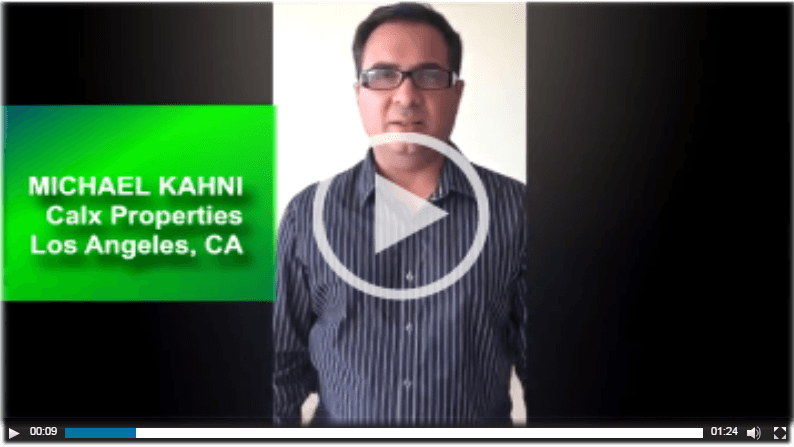 He identified the issues and came up with fantastic solutions. I haven’t seen a drop of water come from that roof since so I am very very happy with Von’s work. We had to do something, we either had to put a new roof on or coat it, and this is the way we went, with the coating. I believe it changed it 80-90%. People were concerned about their cars and Von did the pressure washing and the coating without one complaint and there is a lot of vehicles here so I’m very happy, very happy with the coating. 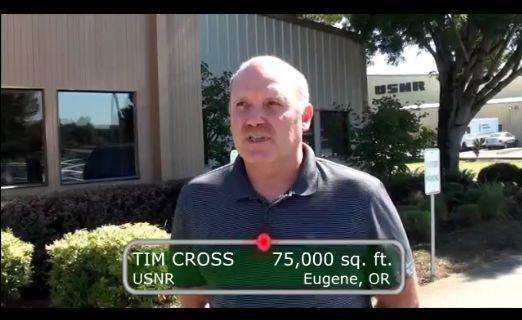 Tim Cross – USNR – Eugene OR. I rate it a 10. We are eminsely pleased, it wasn’t invasive at all to the old roof, we really weren’t sure what was underneath there. The thing we noticed immediately was the temperature in the attic area was dropping to where they were consistent with the temperature at ground level. Over the years that we have had the roof system, we have had no leaks, no service issues, really no maintenance on it at all.